We are excited to share with you an impressive line-up of new products to help kick-off the new year! 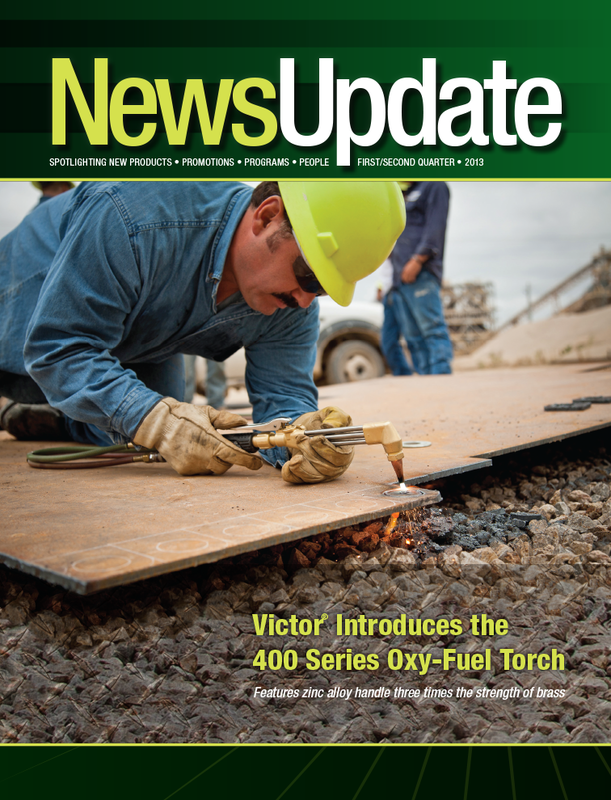 Victor® has launched its new 400 Series of oxy-fuel torches and G Series regulators to meet the needs of end-users globally. The 400 series is a two-piece torch that incorporates a patented handle design with an innovative cutting attachment for better ergonomics, a clearer view of the cutting path, visual cues for easier use and enhanced safety. Tweco® has introduced its new Velocity™ MIG consumables platform. Velocity consumables provide smoother arc characteristics, reduce weld spatter and make it easier for the operator to control the arc. 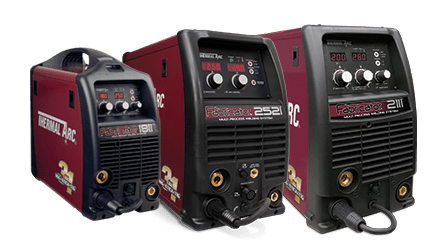 Velocity consumables will be featured on new Tweco Fusion™ light-duty MIG guns and incorporated in all Thermal Arc Fabricator® 3-in-1 Series welders. In addition, to help you reduce the cost and complexity of managing your consumables, Tweco has launched a new series of Universal Conduit liners. These patent-pending, two-piece liners feature a liner crimped with a threaded wire guide and adapters that make it compatible with most major MIG gun brands* including Tweco, Lincoln®, Profax®, Miller®, Hobart®, Bernard® and Tregaskiss®. Now you only need to stock one liner and the various adapters, reducing your inventory costs. * Lincoln is a registered trademark of Lincoln Electric Co. Profax is a registered trademark of Profax. Bernard, Miller, Hobart and Tregaskiss are registered trademarks of Illinois Tool Works, Inc. The aforementioned trademarks and their respective owners are in no way affiliated with Victor Technologies International, Inc. Tweco Fuson and Velocity are trademarks; and Victor, Tweco, Thermal Arc, Thermal Dynamics, Medalist, Fabricator, Journeyman and Cutmaster are registered trademarks of Victor Technologies International, Inc.
Tweco is excited to introduce its new Velocity MIG consumables platform. 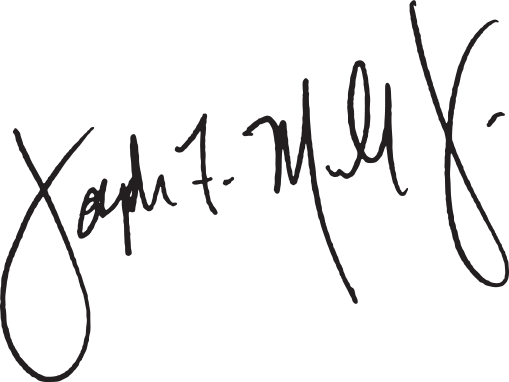 The non-threaded, “drop-in” style Velocity contact tip eliminates the need to use vice-grips, welpers or other tools to remove the tip, even if the wire burns back and fuses inside the tip. The Velocity consumables design integrates the gas diffuser into the conductor tube. This creates an improved all-copper conductor path that provides better electrical conductivity and transfers heat more efficiently away from the tip. As a result, the arc becomes more stable and predictable. These new Velocity consumables will be part of the new Tweco Fusion MIG Gun line which will be integrated into the 3-in-1 welding systems.